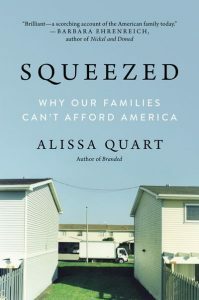 Alissa Quart (Squeezed: Why Our Families Can’t Afford America), discusses her reporting, research, and personal experience covering the financial pressures on American families stemming from rising medical and childcare costs, harsh employment policies, underemployment, and more, in conversation with Allison Pugh. 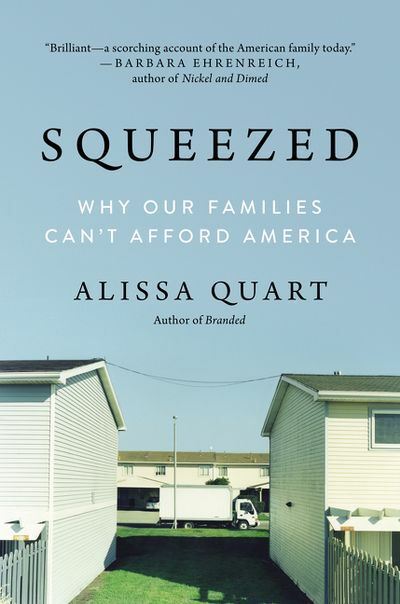 Quart will also discuss her work with the Economic Hardship Reporting Project. Book sales and signing will follow. FREE to attend and open to the public. 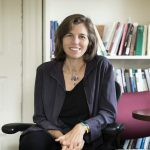 Due to unforeseen circumstances, Barbara Ehrenreich has had to cancel her participation in this program.